Sign-up for Summer Sewing Fun with our Youth Camp Sew Fun, New BOMs, Saturday Sampler & lots more! He takes arranging the everyday into organized patterns to a whole new level and it’s SO satisfying to my OQB (obsessive quilt brain)! 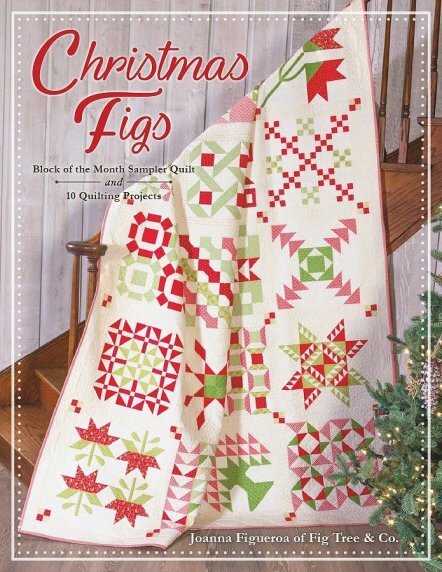 ◊ Christmas Figs ◊ Block of the Month coming to Corn Wagon this August! I've had my eye on this one since Joanna Figueroa of Fig Tree & Co. announced last Christmas that something special was happening with her Classic Yuletide Sampler quilt. 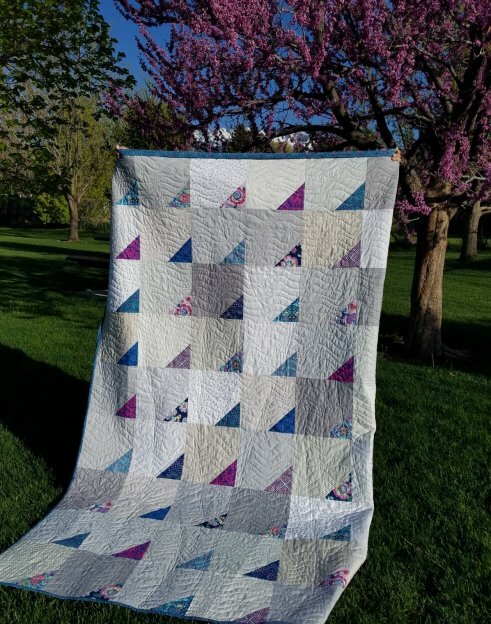 She shared a photo on Instagram and it was quilt-love at first sight! The Christmas Figs Block-of-the-Month is a beautiful sampler created to spice up the holidays with 20 lovely, traditional quilt blocks. Join this block-of-the-month group for a one hour class every 3rd Saturday beginning August 18th where we will teach each block step-by-step. We’ll help you work through the best techniques, trouble shoot, answer questions & offer advice. Finishing at 78 ½” x 96 ½”, this quilt pattern will be featured (along with 10 additional projects) in Fig Tree’s new book collaboration with It’s Sew Emma Designs. Kits will feature the new Christmas Figs fabric collection from Moda. Registration Fee: $30.00 includes book available at first class. Monthly Kits: $19.98 ea. This BOM is a 12 month commitment. No refunds will be given for cancellation. 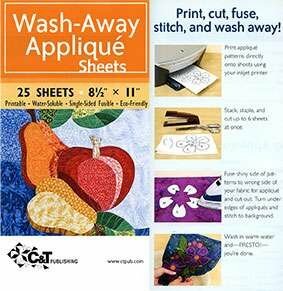 If you attended Yvonne van Rijn's applique lesson a few weeks back, you remember her recommendation for Wash-Away Applique Sheets as a game changer for your applique projects. Well, it has arrived here at Corn Wagon Quilt Co. and we are excited to give it a try. If you're unfamiliar with this product, stop in and we'll fill you in! Our Camp Sew Fun youth quilting class is sure to be just that - - SEW FUN!!! Sign up for 3 days of sewing fun where you will be able to get this awesome 56” x 67” quilt top made just for you! This summer we will be making the Rainbow Bites quilt designed by Sew Delicious. Optional starter kit includes (42) 10” squares like those used in our shop sample for the backgrounds. Then you get to bring your own charm pack with (42) – 5” squares to use as the accent corners. Need help selecting fabrics? We are happy to help here at the shop! Monday, July 16, Tuesday, July 17 and Thursday, July 19 , 1 pm – 5 pm each day. Level: Beginners age 8 and up. All supplies must be purchased separately and are available here at Corn Wagon Quilts. For more classes, block-of-the-month clubs, events, and promotions, check out our new calendar and list of current classes on our website. You can even sign up right there online! May 21st - 25% off KITS including regular price cotton quilt kits, hemstitching kits, Cuddle kits and select wool kits! Registration is going on now through June 30, 2018 for our 12 month mystery sampler quilt designed by Amy McClellan of Under the Garden Moon. Monthly Kit Fee: $5.50 each with the opportunity to receive your monthly kits FREE. Rules apply. Please ask an associate for more details or visit our website under Saturday Sampler for rules and registration info. This BOM is a 12 month commitment. No refunds will be given for cancellation. $5 Passports are are on sale now at any participating shop (that's us!). See utahshophop.com for locations and prize info. Our "Beach Party" plans are totally tubular and YOU'RE INVITED!